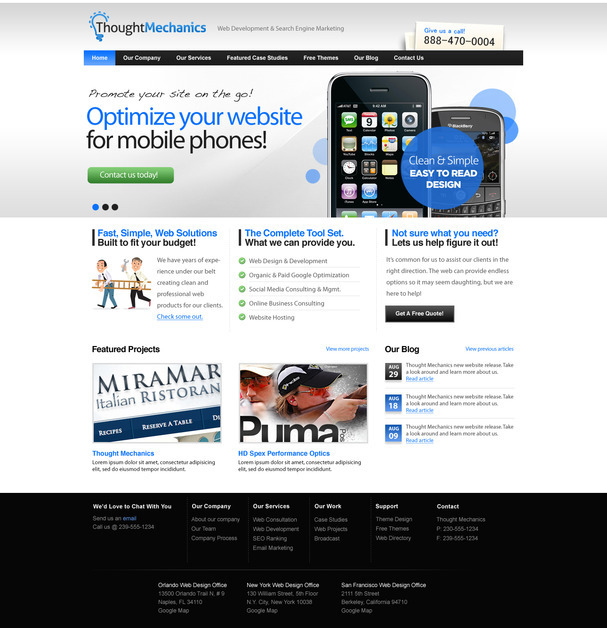 Thought Mechanics LLC is a web development and marketing company located in Atlanta, Georgia. We are a small but passionate team in creating, not only great looking branded designs, but also effective products for improving your web business. Give us a call today, ask for Mike at 888-470-0004, or visit us online by clicking the link below.